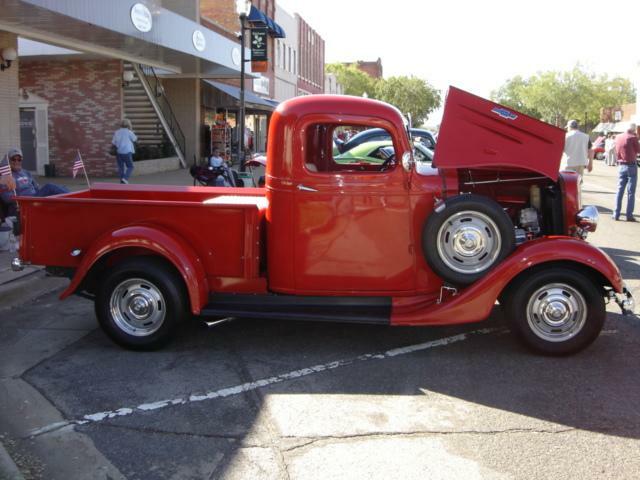 The Great Oklahoma Classic for October 2011 is an outstanding 1936 Chevrolet pickup Street Rod that belongs to Steve Green of Edmond Oklahoma. We saw Steve and his 36 at the Perkins Car Show and again at the Stillwater Downtown Car Show and decided others would enjoy this nice little Street Rod. Steve has owned the pickup for five years. In that time frame he has replaced cross members, the gas tank, the electrical wiring and engine parts. 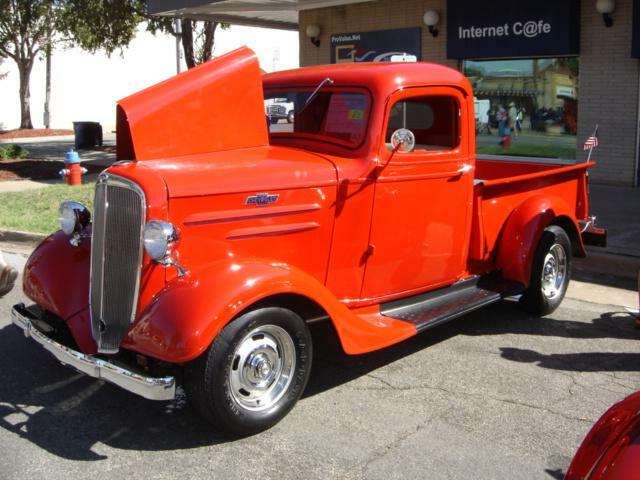 Steve has also replaced all the chrome on the Chevrolet which helps make this classic pickup a real eye catcher at the area shows. Steve found a set of Chevrolet Rally Wheels that truly look great on the old Chevy. Mount to the rally wheels are a set of Firestone 145R15 tires, which makes for just the right stance for the 1936. 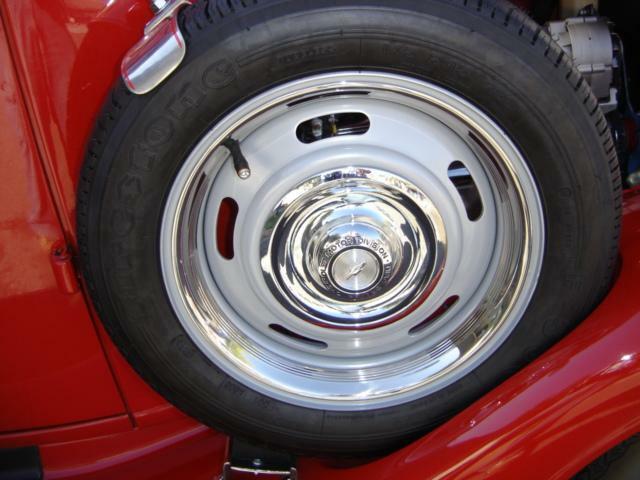 The spare tire is mounted on a matching rally wheel which is mounted on the passenger side front finder. The spare tire mounting has been chrome to enhance the looks. 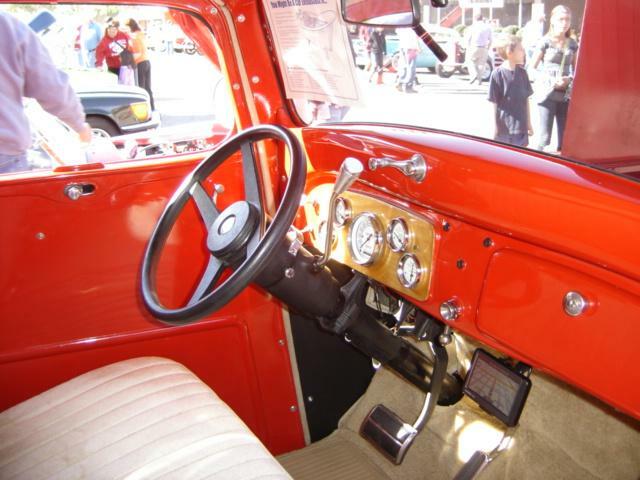 The interior of this classic Chevrolet is pleated white with tan carpet. Of course all gages have been updated to that classic Street Rod look. Don’t forget that GPS unit, this is a driver! 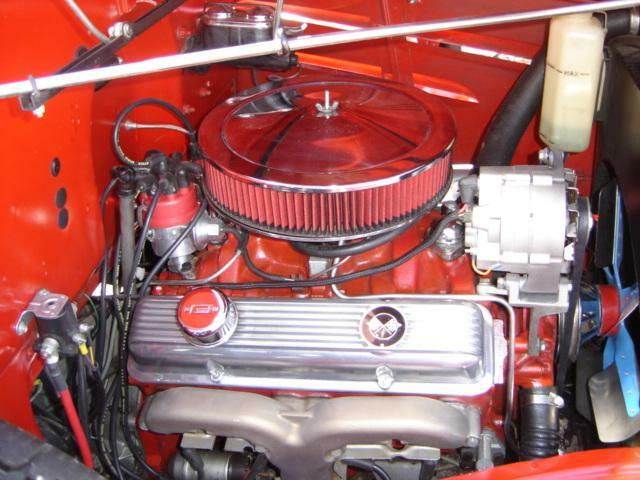 The engine is a classic 1968 Chevrolet 327 V8 producing 220 horsepower which is matched to a 350 Turbo transmission. As you can see the engine bay is clean and detailed in the true Street Rod manner. The bed has been refinished with hand crafted wood and polished stainless steel strips. 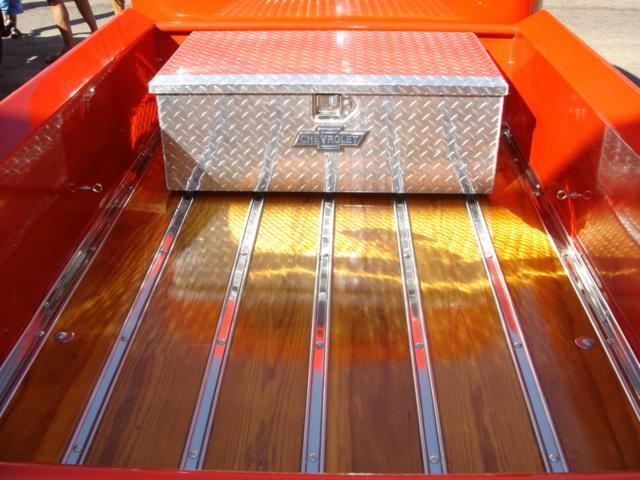 Mounted in the bed is a polished diamond plate tool box with a traditional Chevy Bowtie mounted to the box. 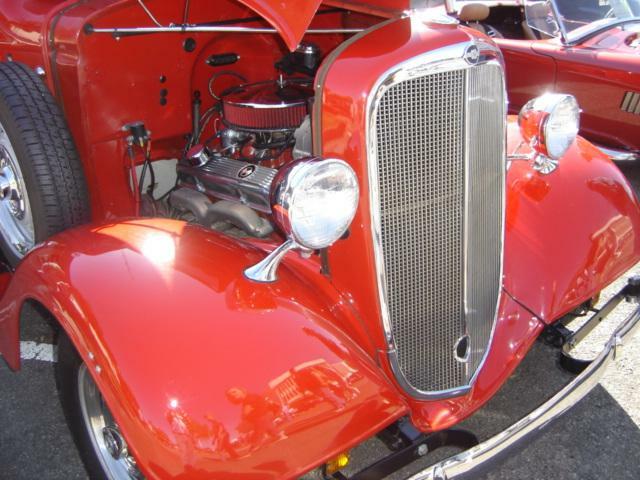 This 1936 Chevrolet has been a Street Rod for over twenty five years. The paint and interior are both over twenty years old, but still have that new appearance. Steve enjoys driving this great little Street Rod to area car shows in Oklahoma and Texas. 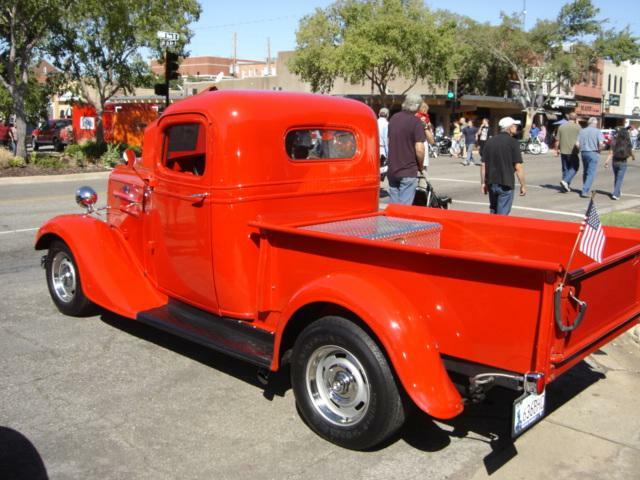 Steve says he never trailers the 36 and puts on over 2500 miles each car show season. 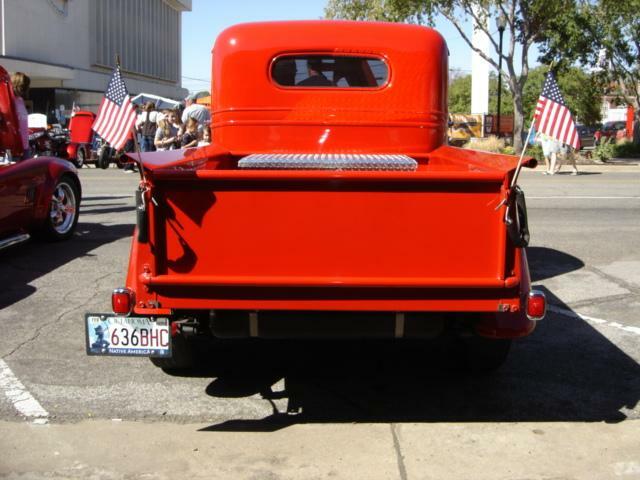 The Cimarron Starlite Cruisers sincerely appreciate Steve Green sharing his eye catching 1936 Chevrolet Pickup as this month’s Great Oklahoma Classic.